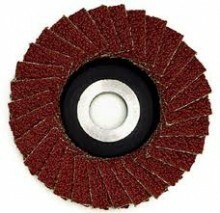 Proxxon Sanding Discs Grit 100 Dia. 50 mm. Stadard corundum for superior stock removal on tempered cast iton, stainless steel, non ferrous metals, wood and plastic. Click the button below to add the Sanding Discs 100 Grit to your wish list.